Be there as your Adelaide Thunderbirds take to the court in the world’s best national netball competition – Suncorp Super Netball. 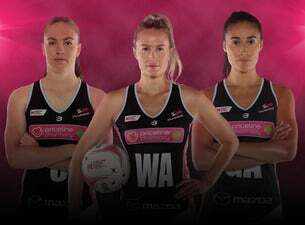 Lead by head coach Tania Obst, the 2019 Adelaide Thunderbirds roster features exciting South Australian local talent complemented by international calibre players. Tickets are now on sale for all Adelaide Thunderbirds home games played at Priceline Stadium. Make sure you’re there to cheer on every Adelaide Thunderbirds pass and celebrate each goal.